ABSTRACT Prospective teachers and teacher educators both confront practical and philosophical issues in attempting to integrate technology into their practice. This paper describes a case study of a science teacher educator, a novice with instructional technology, who integrated technology into an elementary science methods course, with the support of a PT3 implementation project. The science teacher educator, through action research, examined her own knowledge and practice while simultaneously helping her students, pre-service teachers, develop their own practice. Qualitative analysis of classroom observations, field notes, student feedback forms, and other documents revealed themes related to technology's role in inquiry, external and internal factors affecting the faculty member's development, and pre-service teachers' development of expertise and willingness to use technology themselves. Pre-service teachers' growth and development related to technology integration parallels that of teacher educator's. Capobianco, B. & Lehman, J. (2006). Integrating Technology to Foster Inquiry in an Elementary Science Methods Course: A Case Study of One Teacher Educator’s Initiatives in a PT3 Project. 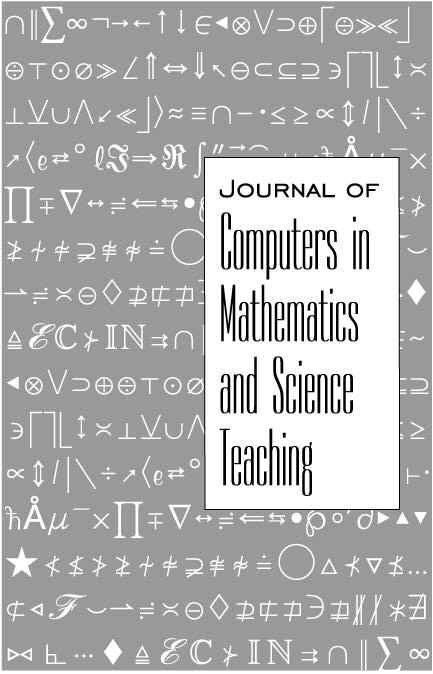 Journal of Computers in Mathematics and Science Teaching, 25 (2), 123-146. Waynesville, NC USA: Association for the Advancement of Computing in Education (AACE). Retrieved April 19, 2019 from https://www.learntechlib.org/primary/p/6172/. Albion, P. R., & Ertmer, P. A. (2002). Beyond the foundations: The role of vision and belief in teachers’ preparation for integration of technology. Tech Trends, 46(5), 34-38. Berger, C. F., Lu, C. R., Belzer, S. J., & Voss, B. E. (1994). Research on the uses of technology in science education. In D. Gabel (Ed. ), Handbook of Research on Science Teaching and Learning (pp. 466-490). New York: Macmillan. Brown, A. L., & Champione, J. C. (1990). Communities of learning and thinking, or a context by any other name. In D. Kuhn (Ed. ), Developmental perspectives on teaching and learning thinking skills, 21, 108-126. Brown, J. S., Collins, A., & Duguid, P. (1989). Situated cognition and the culture of learning. Educational researchers, 18, 32-42. Brush, T. (2003). Preparing tomorrow’s teachers to use technology (PT3) [Special issue]. Educational Technology Research and Development, 51(1). Cochran, K. F., DeRuiter, J. A., & King, R. A. (1993). Pedagogical content knowing: An integrative model for teacher preparation. Journal of Teacher Education, 44, 263-272. Cochran, K. & Jones, L. (1998). The subject matter knowledge of pre-service teachers. In K. Tobin & B. Frazer (Eds. ), International handbook of science education. The Netherlands: Kluwer. Cochran-Smith, M., & Lytle, S. L. (1993). Inside/Outside: Teacher research and knowledge. New York: Teachers College Press. Davis, K., & Falba, C. (2002). Integrating technology in elementary preservice teacher education: Orchestrating scientiﬁ c inquiry in meaningful ways. Journal of Science Teacher Education, 13, 303-329. Dexter, S. L., Anderson, R. E., & Becker, H. J. (1999). Teachers’ views of computers as catalysts for changes in their teaching practice. Journal of Research on Computing in Education, 31, 221-238. Dusick, D.M. (1998). What social cognitive factors inﬂ uence members’ use of computers for teaching? A literature review. Journal of Research on Computing in Education, 3(2), 123-137. Elliott, J. (1991). Action research for educational change. Philadelphia, PA: Open University Press. Ertmer, P. A. (1999). Addressing ﬁ rst- and second-order barriers to change: Strategies for technology integration. Educational Technology Research and Development, 47(4), 47-61. Glesne, C. (1999). Becoming qualitative researchers (2nd ed.). New York: Longman. Glickman, C., Gordon, S., & Ross-Gordon, J. (2003). Supervision and instructional leadership: A Developmental approach (6th ed.). Needham, MA: Allyn & Bacon. Groves, M. M., & Zemel, P. C. (2000). Instructional technology adoption in higher education: An action research case study. International Journal of Instructional Media, 27(1), 57-65. Lederman, N. G., & Niess, M. L. (2000). Technology for technology’s sake or for the improvement of teaching and learning? School Science & Mathematics, 100 (7), 345-348. Loughran, J., Milroy, P., Berry, A., Gunstone, R., & Mulhall, P. (2001). Documenting science teachers’ pedagogical content knowledge through PaPeR’S. Research in Science Education, 31, 289-307. Market Data Retrieval (2002). Technology in education 2002. Shelton, CT: Market Data Retrieval. Marshall, C., & Rossman, G. (1999). Designing qualitative research (3rd ed.). Thousand Oaks, CA: Sage Publications. Maxwell, J. (1996). Qualitative research design: An interactive approach. Thousand Oaks, CA: Sage Publications. McNiff, J. (2002). Action research: Principles and practice. (2nd ed.). London: Routhledge. Miles, M. B., & Huberman, A.M. (1994). Qualitative data analysis: An expanded sourcebook. (2nd ed.). Thousand Oaks, CA: Sage Publications. National Center for Education Statistics. (2003, October). Internet access in U.S. Public schools and classrooms: 1994–2002 (Report No. NCES 2004-011). Washington, DC: U.S. Department of Education. Niess, M. L. (2001). A model for integrating technology in preservice science and mathematics content-speciﬁ c teacher preparation. School Science & Mathematics, 101(2), 102-109. Ofﬁ ce of Technology Assessment. (1995, April). Teachers and technology: Making the connection (Report No. OTA-EHR-616). Washington, DC: U.S. Congress, Ofﬁ ce of Technology Assessment. Panel on Educational Technology. (1997, March). Report to the President on the use of technology to strengthen K-12 education in the United States. Washington, DC: President’s Committee of Advisors on Science and Technology. Pederson, J. E., & Yerrick, R. K. (2000). Technology in science teacher education: Survey of current uses and desired knowledge among science educators. Journal of Science Teacher Education, 11(2), 131-153. Shulman, L. (1986). Those who understand: Knowledge growth in teaching. Educational Resarcher, 15(2), 4-14. Stenhouse, L. (1975). An introduction to curriculum research and development. London: Heinemann. Strauss, A., and Corbin, J. (1990). Basics of qualitative research: Grounded theory procedures and techniques. Newbury Park, CA. Sage Publications. Torp, L., & Sage, S. (1998). Problems as possibilities: Problem-based learning for K-12 education. Alexandria, VA: Association for Supervision and Curriculum Development. Weinburgh, M., Smith, L, & Smith, K. (1997). Preparing preservice teachers to use technology in teaching math and science. Techtrends, 42(5), 43-45. Zembal-Saul, C., Haefner, L., Avraamidou, M., & Dana, T. (2002). Integrating technology in elementary preservice teacher education: Orchestrating scientiﬁ c inquiry in meaningful ways. Journal of Science Teacher Education, 13(4), 303-329.